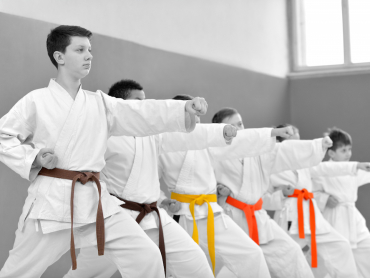 Children enjoy a fun and energetic program that builds strength, flexibility, endurance and character with Gaithersburg Karate. We provide a safe, positive and respectful environment where kids can experiment with new techniques. You'll master a wide variety of disciplines and fight techniques, this intense program combines an awesome mixture of boxing, Chinese wrestling, Lei Tai Kickboxing, and Chinese Jui-Jitsu. It's a fast paced program that incorporates exciting music, professional equipment and fun and interesting instructors. It's fun to do and NEVER boring!